Christmas Grab-n-Go, and Half-price Purses, tomorrow, December 4th ONLY! 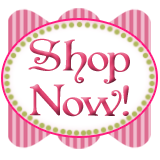 Tomorrow, December 4th ONLY, all of our in-stock, Non-holiday purses will be 50% OFF!!!!!!!!!!!!!!!! 1/2 Price on all our non-holiday purses tomorrow ONLY! That's makes a $40 purse (such as the one shown above)$20!!! $30 Standard 4-square $15 (perfect for little girls), and a $20 Mini 4-square only $10 (for toddler girls)! We also have a few 9-square totes, regularly $50, will be $25! Come shop between 10 a.m. & 4 p.m.! These make great gifts! Holiday-themed purses will be $25. So RSVP to me NOW so you can come!!!!! Here's a few of the projects we will be making (there are 9 different ones, ranging in price from $2 all the way up to $30, but the majority are $2 and $3 each. YOU PICK which ones you want to make and how many of them you want to make! So come on down and shop, stamp, and go! As promised, here is my mini-tutorial for creating an embossed Christmas Tree using the Petals-a-Plenty Textured Impressions Folder and the Big Shot! I started by using my Hobby Blade and the Cutting Mat to cut two tree-shaped triangles out of a piece of thick cardboard from one of my packages of Candy Candy Christmas Designer Series Paper. The cardboard needs to be pretty thick and sturdy so it can take the place of the bottom acrylic cutting pad. I attached these two triangles to each other with Sticky Strip. I then attached the triangle to the positive side (petals popping UP!) of my Petals-a-Plenty Textured Impressions folder with Dotto repositionable adhesive. You want your triangle to be on the bottom of your sandwich going through the Big Shot, (this pic shows everything upside down). Insert your cardstock as shown in the picture so you can perfect the placement of the tree. Flip this all over and run through the Big Shot with this sandwich order: cardboard triangle attached to Impressions Folder, Impressions Folder with cardstock in middle, acrylic cutting plate. Here's your Petals-a-Plenty Christmas Tree! Use the journaling tip of a Cherry Cobbler Stampin' Write Marker to just barely apply color to the dots in the centers of the poinsettias and between the flowers. You will have a few slightly embossed petals around the main tree image, but you choose where you want your tree to begin and end by where you color the dots and later where you put the Two-way Glue and Dazzling Diamonds Glitter! This pic shows part of the tree has had Two-Way Glue applied and sprinkled with Dazzling Diamonds Glitter so you can see the difference of with and without the glitter! We stamped the inside with a verse from Seasonal Sentiments, and surrounded it with snowflakes from Snow Swirled, all in Cherry Cobbler ink! After adding a strip of Cherry Cobbler punched with the Dotted Scalloped Ribbon Border and a strip of Deck the Halls Designer Series Paper, we added a greeting from Snow Swirled punched with the Wide Oval punch, matted on a Cherry Cobbler Decorative Label. The finishing touch is a Basic Jewel Rhinestone on the top of the tree! That's all for today! I hope to be back tomorrow with the cards from my November Punch Class!